As winter closes in on Kirsten Swenson's hometown of Sedona, Arizona, and the world moves toward the solstice, strange forces begin to converge on the quiet desert city, seeking to bring about the destruction of everything she knows and loves. Desperate to save her friends and family, Kirsten accepts the assistance of Martin Jones, a mysterious Man in Black who turns out to be far more than he seems. He helps to awaken the powers that have lain dormant within her…and also compels her to expose the shocking secrets buried in her past. But Kirsten soon learns that giving her heart might not be enough, and that the confrontation with the alien forces may demand her to make the ultimate sacrifice. Her first published novel was Fringe Benefits, a contemporary romance released by Pink Petal Books in April 2010. Next up was a paranormal novella, Playing With Fire, which was published in August 2010. In December 2010, Sympathy for the Devil, a paranormal romance novel, was released. In 2011, Ms. Pope decided to strike out on her own as a self-published author, giving herself more freedom to explore a variety of genres. Her first self-published work, Breath of Life (June 2011), is a novella that takes the classic Beauty and the Beast story and sets it in a far-future Gaian (Earth) colony where the "beauty" is a colonist's daughter and the "beast" her family's alien neighbor. That book was quickly followed by Bad Vibrations (July 2011), a fast-paced but lighthearted paranormal romantic suspense novel with alien conspiracies, government cover-ups, and a hunky ufologist hero. Releases for 2012 included No Return, a contemporary retelling of the Phantom of the Opera story; Heart of Gold, a steampunk adventure romance; Blood Will Tell, a space opera/science fiction romance set in the same universe as Breath of Life; All Fall Down, the first of the Tales of the Latter Kingdoms series; and Dragon Rose, the second book in the Latter Kingdom series. Her release schedule for 2013 is just as full, with a follow-up to Bad Vibrations in January and the final book of the trilogy in July, Binding Spell (Book 3 in the Latter Kingdoms series) in March, and then the third book in the Gaian Consortium series (The Gaia Gambit) and the fourth in the Latter Kingdoms series (Ashes of Roses) due out in the second half of the year. 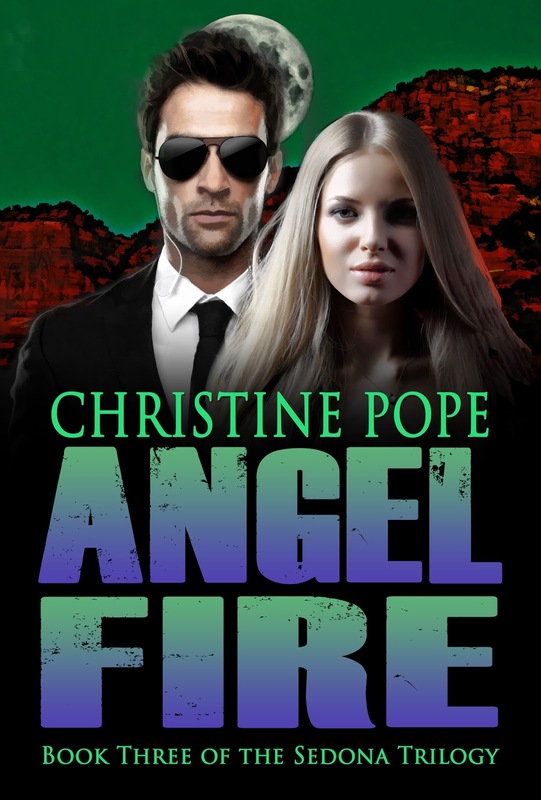 Christine Pope writes as the mood takes her, and her work encompasses paranormal romance, fantasy, horror, science fiction, and historical romance. She blames this on being easily distracted by bright, shiny objects, which could also account for the size of her shoe collection. After spending many years in the magazine publishing industry, she now works as a freelance editor and graphic designer in addition to writing fiction. She fell in love with Sedona, Arizona, while researching the Sedona Trilogy and now makes her home there, surrounded by the red rocks. No alien sightings, though…not yet, anyway!